Working With Another Great Family! 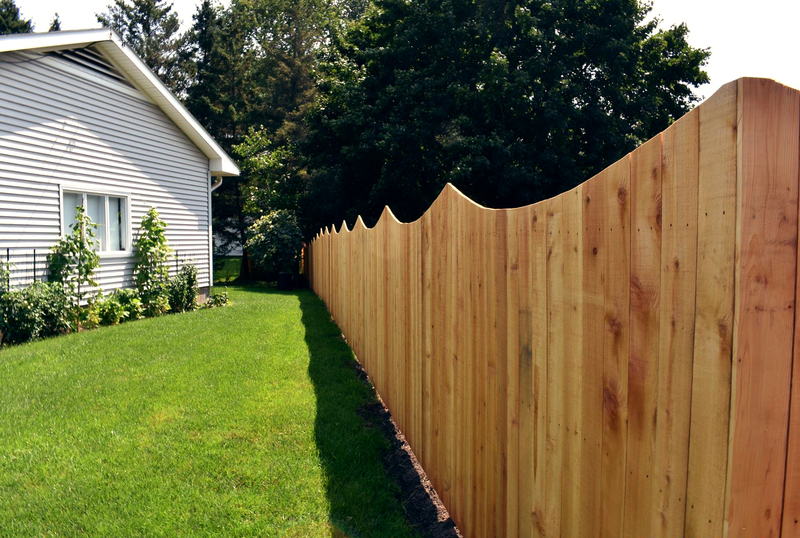 Poly Enterprises was in Herkimer NY this past week where we installed a gorgeous 72” cedar wood privacy fence with a stunning custom concave top. With almost 300 feet of fence installed, our installers did a phenomenal job. The home owners were very pleased with the final results as were we. When we work with you on your fencing projects, there are many options in terms of materials that we can build you the best product possible that will last as long as needed, meet the demands required of it, and look great all the while. Red Cedar is a wood that has a unique beauty to it, as mentioned before, with its versatility and durability. The wood grain is decidedly crisp, with rich tonal properties that can create beautiful fences, decks, and gateways. The wood is resin free, which means it works great wit ha wide range of finishes without strange effects or distortions in the application and drying process. It also looks great au naturale—the warmth of tone and crisp grain give you the flexibility to do what you really want to do to have something that matches or adds to your property/landscape already.